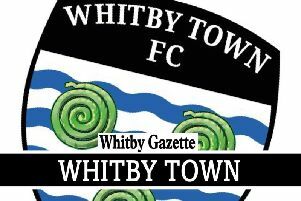 Whitby Town battled back from behind to beat Hednesford 2-1. Hosts Hednesford took a 23rd minute lead through Dan Cockerline's strike into the bottom corner. Their lead stood until the 55th minute, when Keiron Dawes' poor header out fell perfectly for Callum Patton, who took the ball down and powered in on the half-volley. Five minutes later the turnaround was complete, some neat play between Lewis Maloney and Patton saw them get in behind the home defence, Maloney chipped it over the defender and Patton found the bottom corner to seal a superb 2-1 win for Chris Hardy's men.